Whether you have recently graduated from college, want to change careers or have recently lost a job, there are several job search strategies that you can utilize to increase the chance of finding employment when searching for a job. The following tips will help with job hunting skills, interviewing and other job hunting strategies. One of the most important job hunting strategies is developing a schedule. Successful job hunting means that you have to implement a plan that includes searching for a job during the hours you would typically be working. For example, plan to search for a job everyday Monday through Friday from 8am until 5pm in order to put in forty hours of searching each week. This time includes physically visiting potential employers to fill out applications, interviewing, searching online for potential employers, submitting online applications and updating your resume. 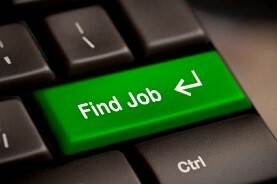 The more time you spend searching for employment, the more you will improve your job hunting skills. Keeping a diary for your job search will help you keep track of the businesses you have contacted for employment. In your diary, include the business, the date you applied, if the employer responded and the outcome of their response. The journal can also be used for information of companies you are interested in or leads that are given to you. This is an excellent way to identify what, if anything, you can do differently during an interview or when filling out the application. For example, if a potential employer states if you were certified in CPR, you would have gotten the job. Take the advice and gain from it; for example, this can include taking an additional course or reviewing material relating to the area in which you were lacking experience for a particular job. 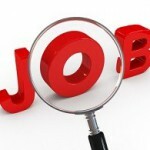 One of the most valuable job search strategies is to know where to begin searching for a job. There are several options to choose from and depending on the type of work you are looking for, you may want to utilize all options. The best place to start is by asking friends and family if they know any businesses that are hiring. On your own, you can search the local newspaper ads, trade journals, online advertisement companies and recruitment firms and agencies. An effective job finding strategy always should include being prepared for the interviews. 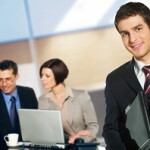 First and foremost, you have to choose a professional suit or dress to wear to the interviews. Always dress and act professionally for an interview and keep in mind that many employers go by their first impression during the interviewing process. When you arrive to the interview, introduce yourself and smile and give a confident handshake. Prepare ahead of time for the interview by researching the company and knowing the product or services they provide, who the executives of the company are, the company’s competitors, and what skills are required for the position you are interviewing for. 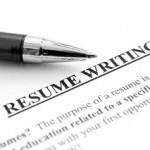 Bring a copy of your resume and do not make remarks or negative comments about previous employers, companies or other employees. Show enthusiasm for the possibility of working with the company and whether you receive the position or not, always follow up with a thank you for the interview. 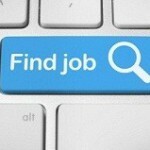 Using these options will prove to be effective job hunting strategies during your job search. More information can be found at About.com on Job Search Strategies, under the Top 10 Strategies for a Successful Job Search.